When it comes to SUVs, India is surely witnessing a boom of sorts. There are new entrant such as the Lexus NX 300h and the current rivals such as the BMW X3 and Mercedes-Benz GLC. Audi needed a fresh new model in this space to take on the competition and lo! It brought in the all-new Q5. That's right! 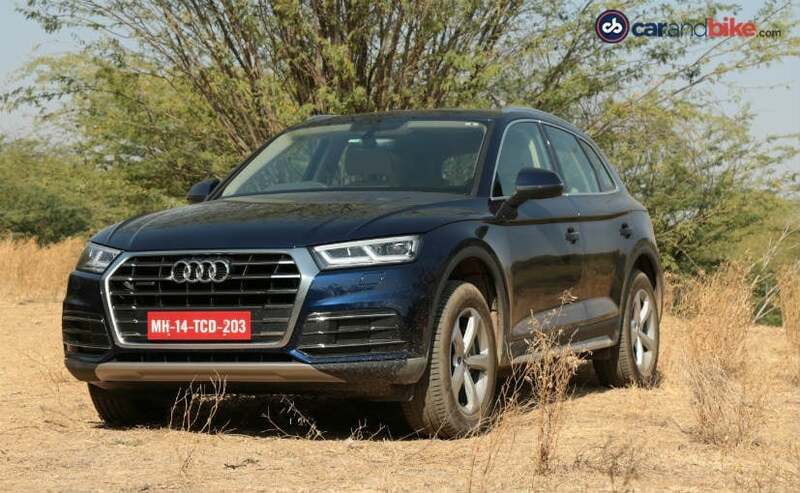 Audi India is very serious about establishing dominance in the luxury car segment in India and one of the most important steps in that direction will be the SUVs. Audi rung in the new year by giving us a taste of the all-new 2018 Audi Q5, which is the company's mid-size luxury SUV, slotting right between the Q3 and the Q7. 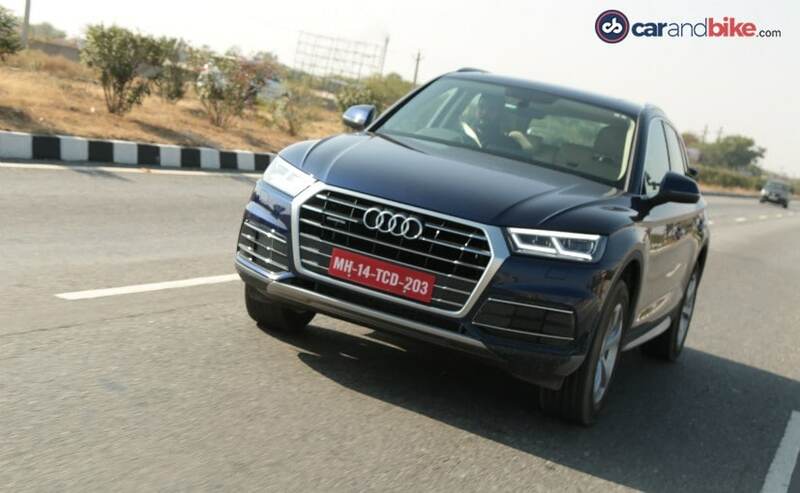 The new-generation Q5 surely does take things to an all-new high. And how is that, you might ask? Let us explain. For starters, the Q5 goes the Q7 way, losing some of the bulk, visually and literally. The car loses 65 kg thanks to the MLB EVO platform. 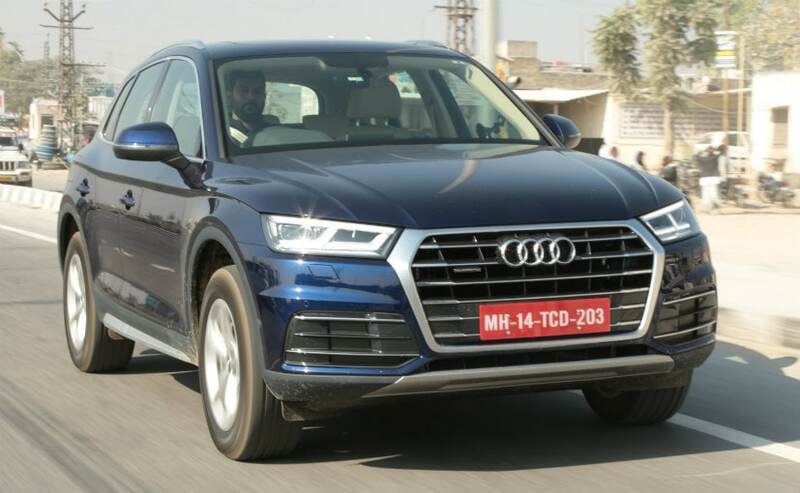 The lines on the Q5 have become tauter, giving it a sporty demeanour and making it look even more youthful. Audi has always maintained that the youth has been an important part of its target audience and it is quite evident here. The front end is completely new, with the single-frame trapezoidal grille and those restyled LED headlamps. Fresh and aggressive! There is a new wraparound shoulder line, which brings in the angularity and enhancing the presence of the SUV. The rear too gets a redesign, in sync with the rest of the lines and styling elements. We like how the new Q5 looks! 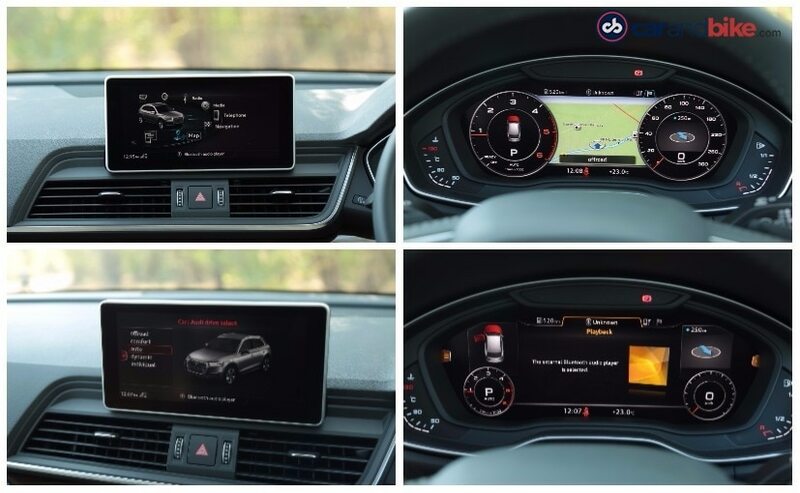 Well, to begin with, the new Q5 gets Audi's signature 12.3-inch virtual cockpit instrument cluster, which can be programmed to show two different layouts, classic and progressive. 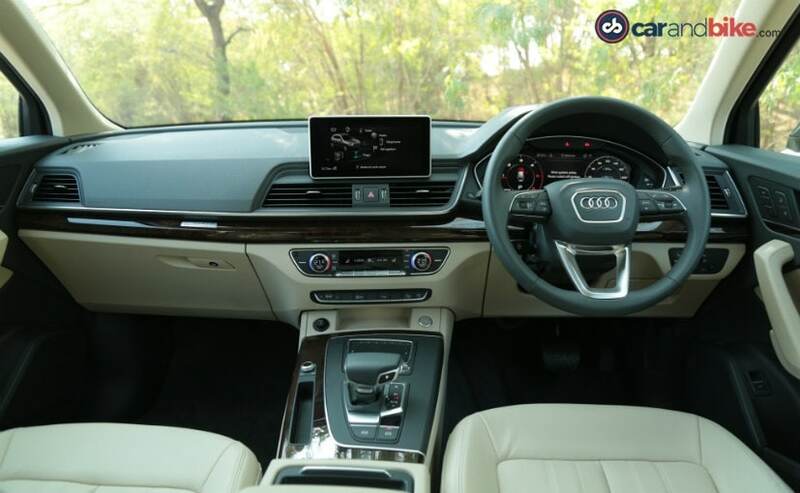 As is with other Audis that have the virtual cockpit, this one too shows a host of information including navigation, music, contacts and the usual which is real-time fuel consumption, distance to empty, average speed and so on and so forth. 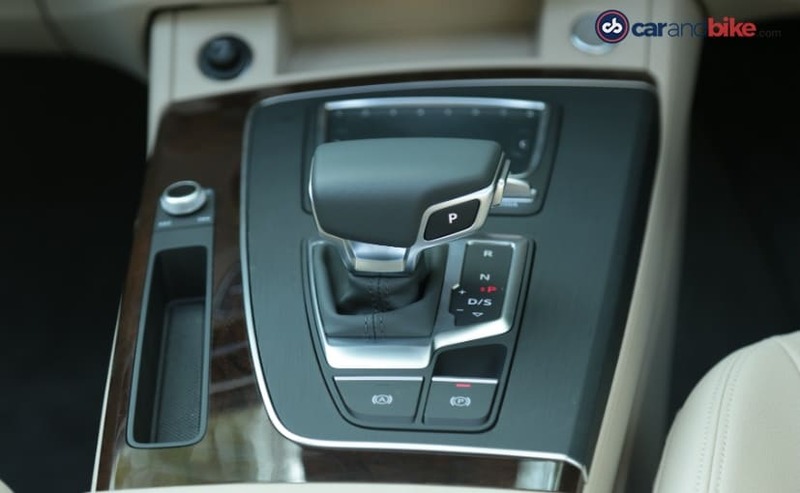 Apart from that, the 8.3-inch MMI infotainment system too gets an upgrade, with the company replacing the control knob with a trackpad and four toggle buttons. The trackpad can recognise handwriting as well. Atop the trackpad are eight 'favourite' buttons, which can be set for frequent menu options such as the route from work to home and so on. A clever touch indeed! Also, the dashboard gets wood inlays which add to the premium touch. The fit and finish on the car is top-notch as is expected of any Audi. The company says that the dimensions of the new Q5 are increased and the cabin sure does feel airy and roomy. With the rear seats up, the Q5 has a boot-space of 510 litres and with the seats down, the SUV can gobble up almost 1,500 litres of luggage. The visibility from the car is excellent thanks to a high perch and the surprisingly slim A-pillars, which reduce the blind spots a fair bit. Plus, in case you feel like looking at the stars, you can always open up the panoramic sunroof and gaze out, feel the wind in your face! Loaded is the right word! 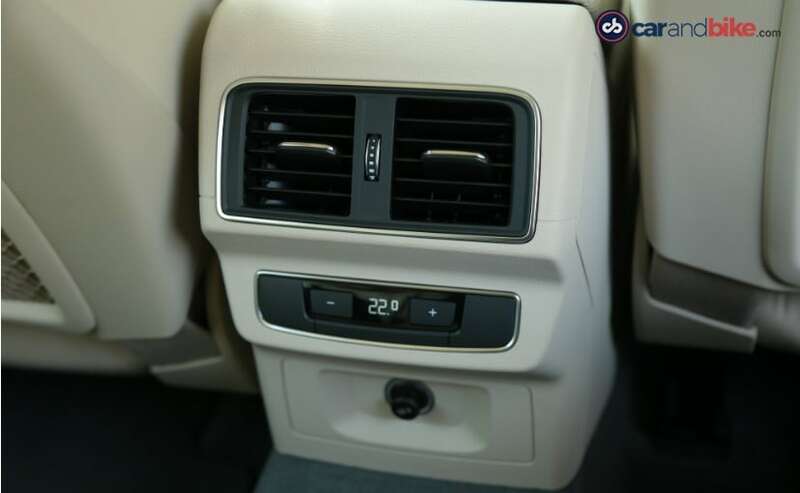 Our test car came equipped with features such as smartphone integration, intelligent voice dialogue system, wireless charging for Qi-enabled phones, 10GB worth storage space for your music, navigation, three-zone climate control, cruise control, leather upholstery and electrically adjustable leather seats along with matrix LED headlamps. The tailgate is electrically operated as well. Should safety be your concern, the new-gen Q5 has been awarded 5-stars from Euro NCAP and gets 8 airbags! Plus there is reverse parking camera, hill-hold and tyre pressure monitoring system. The new Audi Q5 uses the same 2.0-litre TDI engine, which makes 187 bhp of max power at 3,800-4,000 rpm and 400 Nm at 1,750-3,000 rpm. The engine has been mated to a new 7-speed S tronic automatic transmission which gets dampers in the flywheel, making gearshifts even smoother even when driving aggressively. The car does 0-100 kmph sprint in 7.8 seconds (Impressive!) and has a top speed of 218 kmph. The ARAI claimed fuel efficiency is 17.01 kmpl, which is more than impressive for a mid-size luxury SUV. There are no plans of getting a petrol engine for the new Q5 in the near future. 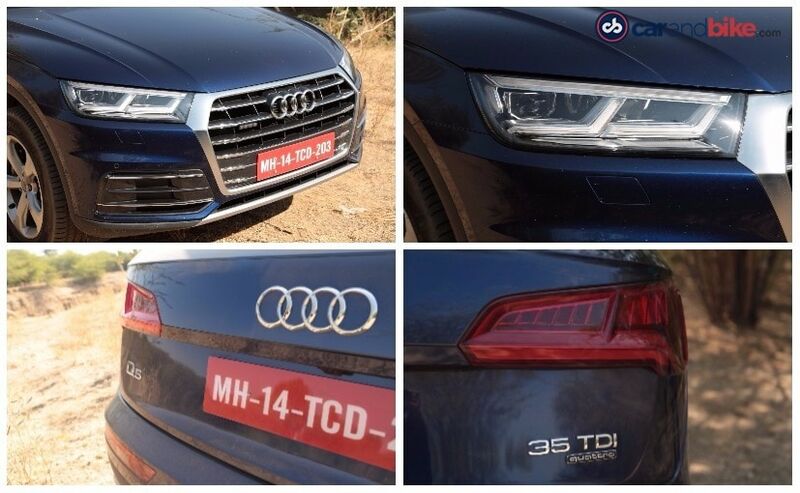 We test drove the new A5 in Pushkar, Rajasthan, with a good mix of all sorts of roads. With the weight loss and the updated powertrain, the car sure can go fast. It feels at home whether you want to pick up your kids from school or take them out for a weekend getaway. The adaptive suspension was a pleasant surprise. We subjected the car to some rather bad roads, even went mild-off-roading, but it did not break a sweat. It keeps the passengers ensconced in comfort as far as ride quality is concerned. Then there are the five driving modes which are comfort, dynamic, auto, individual and off-road. The off-road mode engages the yaw and pitch sensor as well. The steering and the suspension go taut when in dynamic mode, meant for spirited driving. But even then, we found the steering to be lifeless. A little more feedback would have been welcome. In comfort mode, the steering becomes even lighter. It is a comfortable, practical car by all means, but can feel a little lacking should you consider yourself an enthusiast. The refinement though, takes the cake! The NVH levels could possibly be best-in-class. There is hardly any diesel clatter when you start the engine. At cruising speeds, there is almost no noise seeping into the cabin, which speaks volumes about the noise insulation that Audi has put in. Audi has surely upped the ante with the new-gen Q5. For any luxury car manufacturer in India, a majority part of their sales come from SUVs and Audi is no different. The idea is to keep raising the bar and with the Q5, Audi did exactly that! The prices will be announced on 18 January 2018 and if the pricing is right, it just might prove to be the game-changer in the mid-size luxury SUV segment in India.